Birks Group is a Canadian company that has been operating fine jewelry since 1879. The company announced on Tuesday that it will be accepting bitcoin for products and services at eight select locations. According to Jean-Christophe Bédos, the chief executive officer of Birks Group, the company’s collaboration with Bitpay is a significant achievement for the business. 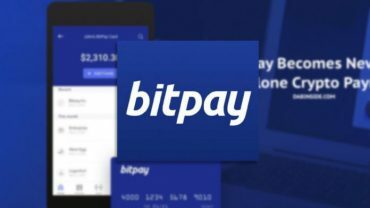 “As an internationally growing brand, we believe that Bitpay will benefit our customers as we look to align ourselves with these innovative capabilities that are on the forefront of technology,” the executive explained. Birks Group is not the only nor the first jeweler in the world accepting cryptocurrencies for payments, especially since a bunch of businesses has started accepting digital assets. Bitpay partnered with Bond Street-level jeweler Samer Halimeh NY in September last year. The renown luxury diamond retailer based in Knightsbridge equally accepts BTC and BCH for retail services and business-to-business (B2B) gemstone trades. Marks Jewelers, US jewelry retailer, started accepting seven digital currencies, including bitcoin cash last October, for products and services. Birks Group said that retail store customers can purchase well-known jewelry brands like Breitling, Rolex, Bulgari, and Cartier with cryptocurrencies in select locations.